Your Health Matters: Breast cancer can be scary, especially if you’re uninsured. Breast cancer can be scary, especially if you’re uninsured. Which is why we want to spread the word about the Make a Difference Breast Cancer Screening Program. I sat down with Carrie Starkey, program coordinator, at their free screening last Saturday to find out more about the program. Kayla: What is the Make a Difference program? desk at the free screening. Carrie: Make a Difference is an outreach screening program funded by the Maryland Affiliate of Susan G. Komen for the Cure® and Avon Foundation for Women. Our goal is to reach uninsured and underinsured women in our community and provide them with free screenings, education, and help with scheduling and paying for a mammogram, if necessary. We really try to look at barriers that would prevent women from coming to see us and then figure out how to get around those barriers. We’ve identified five major barriers: fear, finances, transportation, translation, and timing. To help combat the fear, we’re out there educating the community, but we also make sure we’re welcoming, approachable, and easy to talk to. We have the resources to help women apply for financial aid, the courtesy van at Meritus Medical Center to help reach patients who can’t drive, and we have someone on staff who serves as a Spanish translator. We also have our screenings on different days and times, in hopes that no matter what shift someone works, at least one of our screenings can fit into their schedule. K: What happens if I don’t have insurance? C: The clinical breast exam itself is free. If you need a mammogram and don’t have health insurance, we look at a couple of avenues to help pay for the mammogram. We collaborate closely with Breast Cancer Awareness-CV and the Washington County Health Department’s Breast and Cervical Cancer Program to see if women might meet their criteria – which may include income, age, and residency guidelines. Between those two programs, and funds that we have through grants from the Maryland Affiliate of Susan G Komen for the Cure®, we can cover a mammogram for someone who doesn’t have health insurance. K: What if I end up needing a biopsy or treatment? C: We can help you apply for financial assistance for the procedure. The state of Maryland has a program called the Breast and Cervical Cancer Diagnosis and Treatment program, so if you live in the state of Maryland and are underinsured or uninsured, and meet the financial criteria, we’ll help to see if we can apply for that program for you. That will pay for a biopsy, a surgical consult, even treatment if women indeed do have breast cancer. We also look at Meritus Health’s financial assistance program. There are a couple of resources that we can go to. We have a “breast health navigator” with this program, and one of their main roles is to you through the entire process: helping her apply for financial assistance, helping her understand what it is that’s happening, what needs to be done, helping explain it to her, linking her to the appropriate resources, whether it’s financial aid or a support group if the diagnosis is indeed breast cancer. There’s someone to help her go from the beginning (early detection and education) to treatment, if need be. We can cover that full spectrum. K: For someone who has never had a clinical breast exam, they may not know what to expect when they come in for a screening. Can you walk me through what happens if I come in for a screening? C: You’ll first call and make an appointment, and when you come in you’ll fill out a one-page sheet to give us a little bit of history, for example: Do you have a history of breast cancer? Have you ever had a mammogram before? 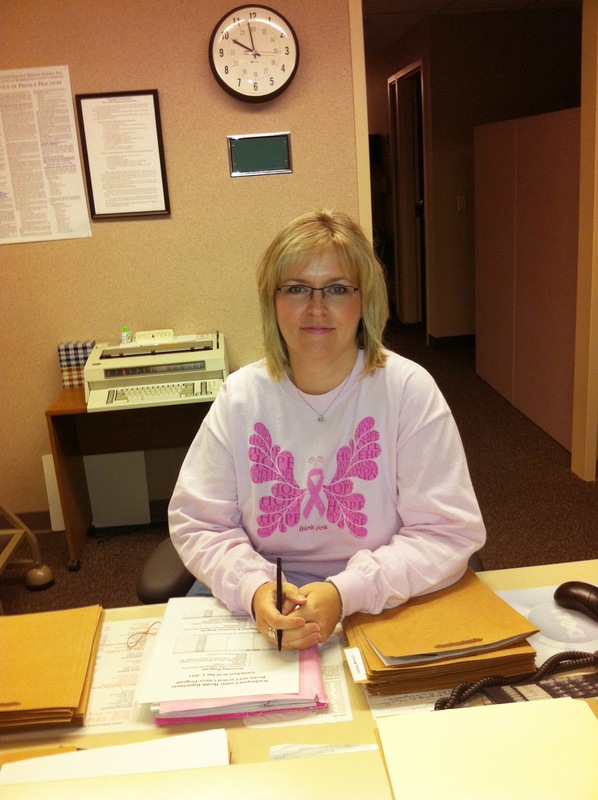 When was your last mammogram or clinical breast exam? Do you have a primary care physician? We’ll talk a little about health insurance. 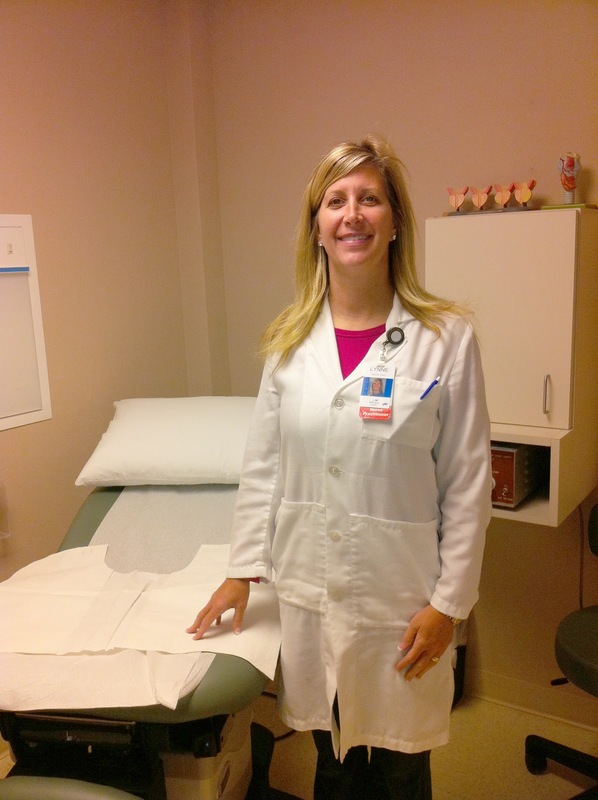 Then, you’ll meet with our nurse practitioner; she’ll do a clinical breast exam, and education on how to do your own breast self-exam, using breast models to teach what to look and feel for. Then, if she recommends a mammogram, we try to get it done the same day, over at DIS Women’s Imaging here at Robinwood. If you can’t go the same day, we try to set up an appointment for within three weeks. We’ll schedule that for you and then talk to you about where you would fit best with regards to helping to pay for a mammogram. You’re with us usually a half-hour or less. The mammogram takes about 45 minutes. Note from Kayla: I had the pleasure of going to the screening and meeting the staff. They are super sweet and extremely enthusiastic and welcoming. They have a passion for what they do, and it’s evident. Please, please, use this program. Early detection is key to saving lives. For more information about these screenings, call 301.665.4671 or visit the website, which also has a list of all upcoming free screenings!